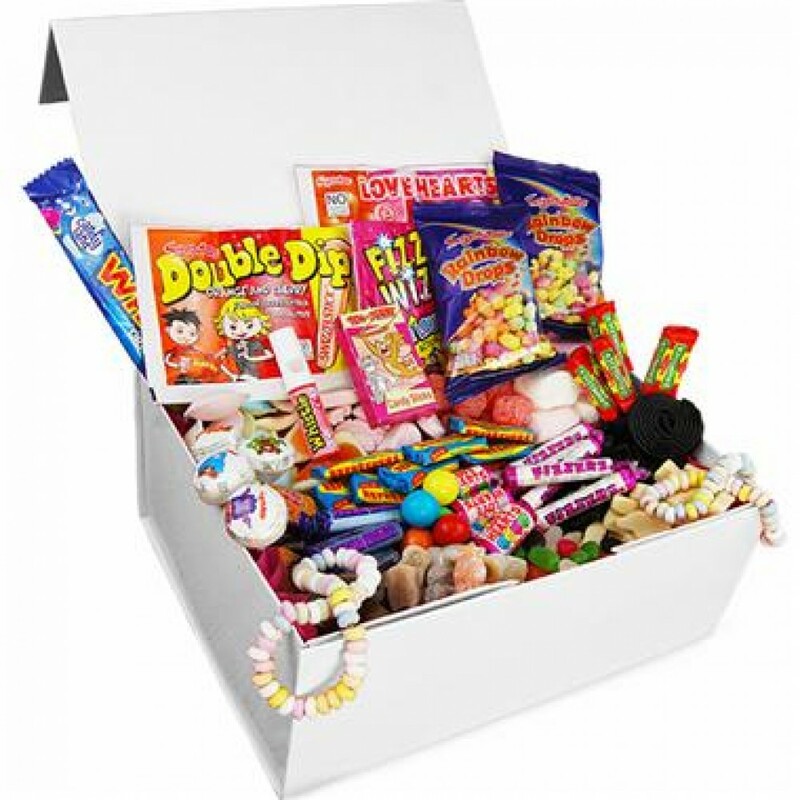 The deluxe retro sweet box is a beautifully presented one piece gloss box with a magentic shut lid. This stunning box will look after all of your sweet treats for a long time and makes a really special and super cool gift. The box is bursting with 27 retro sweet classics including Popping Candy, Flying Saucers, Fried Eggs and Sherbert Dip Dabs!